1-	His slight accent reveals that Oscar was born in El Salvador. 2-	He arrived to the United States in August 1988. Few years later he became a US citizen. 3-	Oscar got his real estate license in 2005. 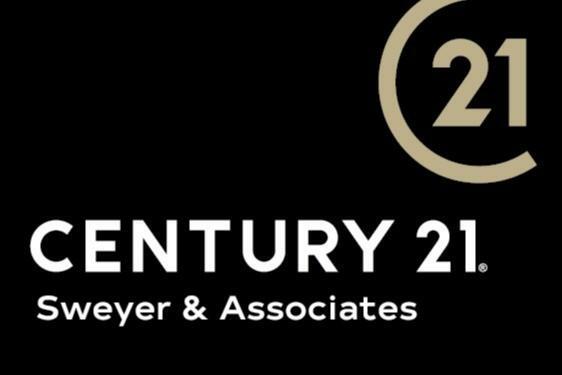 In 12011 he joined Century 21 Sweyer & Associates, where he works to this day. 4-	Oscar met his wife Vitia in New York, in 1998 and has 2 boys Benjamin & Nicolas. 5-	Oscar and his family spend every Christmas with his wife family. Slogan I'm here to help! ~ Estoy aqui para ayudarle! I confirm that I worked with Oscar Garcia in the buying or selling of this property. - Oscar was very friendly and great to work with. He was always quick to respond to any questions and to give me updates on new properties that opened up. He is very good at what he does. I would recommend him to anyone seeking to purchase a new home. - Oscar was always on time, provided clear communication, was always available, is professional and courteous, and was recommended by a co-worker and another dude I know. Pretty good to have two independent recommendations and he has good ratings on the line...lots of 5 stars. He's very patient and has been in the business for a while, so he knows how to play the game. I'm totally stoked that Oscar helped me find my new pad. - Oscar García was a great help in the purchase of our home. He was patient, friendly and understanding of our needs. The fact that he speaks Spanish was a big advantage and I would highly recommend him. Reviewed by Carmen Alvario, Wilmington. - Oscar Garcia was always available to answer all my questions and address my concerns. I would definitely recommend him to my friends and family. - Oscar Garcia: Always available for questions and help. Not pushy!!! Nice, easy going person. Knows the area well, able to show many different areas keeping in mind what your looking for. Able to check on properties even when your out of state. - Oscar is always available to answer questions should they arise! He also is quick to correct all possible problems. - Oscar Garcia was very understanding from the beginning to the end. If there were any concerns or questions I would have he would answer to the best of his knowledge. I would refer Oscar Garcia to my family and friends for being a awesome sales person. - Oscar did a great job! - Oscar is my "go to Realtor..." he has always been available and prompt to respond when I've called/texted with any question and or doubt on any matter. He is very professional but easy going to work with, very knowledgeable in many areas and most importantly honest. I trust and highly recommend him!! This was my second home purchase since the first one in 2012, with Oscar and the entire process went by smoothly. Oscar is the best...!!! This was the second purchase, since the last one in 2012. My son's and I are extremely thankful for making this second home purchase and overall wonderful experience again !! Oscar is always very approachable, accommodating and overall trustworthy !! Oscar is my trustworthy go to Realtor and highly recommend him to all my family, coworkers and friends!! - Oscar was great with us, he found the house we wanted in a very short time and we really love it. He is friendly and professional and will make this experience easier. Thank you Oscar!!! Oscar es una excelente persona, nos ayudo a encontrar la casa que queriamos super rapido y nos encanta. Es super agradable y profesional! El hizo esta experiencia mucho mas facil para nosotros. Gracias Oscar! - Oscar was tremendous! He was on the ball, regularly checking in with us and definitely doing the legwork! If a previous location did not work out for us he was extremely quick to suggest another listing. - We enjoyed searching for houses with Oscar Garcia. We most definitely appreciate his dedication, patience, and understanding during this arduous process. Oscar devoted so much time & attention in showing us so many options, helping us finalize our decision at ease. Best of all, Oscar was passionate in providing us with excellent service from beginning to end. We look forward to working with him again in the future. This is THE MAN I will recommend to anyone I come across who are in the market to buy or sell property! - It's been a joy working with Oscar. His knowledge about the process has been priceless. He was very patient and fun. - Sir: Oscar García (Realtor) We just wanted to thank you for making us feel so comfortable during the process of buying a house in Castle Hayne that was surprisingly easy with you. With our budget we were a bit more modest within the real estate market. We thank you for treating us with such consideration and kindness - since we are not millionaires, we are only humble people who work hard.Berta (my wife) and I feel that we have a new friend and someone to whom we will turn in the future if we have the Luck to buy a property again. Thank you for being formal and trustworthy throughout this exciting period for us - we appreciate it more than you imagined. Señor:Oscar García ( Realtor) Sólo queríamos agradecerte por hacernos sentir tan cómodos, durante el proceso de la compra de una casa en Castle Hayne que fue sorprendentemente fácil con usted.Con nuestro presupuesto que era un poco más modesto dentro del mercado de bienes raíces. Te damos las gracias por tratarnos con tanta consideración y amabilidad – ya que no somos millonarios, solo somos personas humilde que trabajan duro.Berta ( mi esposa) y yo sentimos que tenemos un nuevo amigo y alguien a quien acudiremos en el futuro si tenemos la suerte de comprar un inmueble otra vez. Gracias por ser formal y digno de confianza durante todo este periodo tan emocionante para nosotros – lo apreciamos más de lo que se imaginaba. - If I didn't move out of NC I would use Oscar for any purchase or sale. Anytime any question, Oscar was there to answer quickly. - I would , and do , recommend Oscar Garcia as a real estate professional . He is very courteous, approachable and professional. He knows a lot about the real estate market in our area. He is always available to answer questions or show me a property .One thing I appreciate about Oscar is that he usually points out some fact or piece of information that I have missed. And its always something pertinent to the property or sale that I need to be aware of. That is the kind of personal touch that makes Oscar the best agent for me. He really does an excellent job. - Oscar Garcia is polite, professional and prompt. He was was very helpful during the pre-sale, sale and post sale. I felt comfortable with him and felt he gave me top priority during the sale. He answered all my questions. If he did not know the answer he would find it and quickly get back to me. He put me in contact with all necessary personnel to complete the transaction. Really a nice and pleasant person to deal with. - Oscar was extremely patient with me I truly appreciate all his help through this process. He answered ALL of my questions and addressed ALL of my concerns. Knowing that he not only understood what was important for me but most importantly understood what was important for my babies I cannot thank him enough for all of his help. - I was very pleased with his knowledge, understanding, and dedication. Anytime I had a question, he was there to answer it immediately and explained it clearly. I would definitely recommend Oscar to anyone looking for a new home. - Mr. Gracia was very friendly polite. He stayed in contact with me the whole time I went thru this first time process of buying. - Oscar was very patient and look for everything to help us get the home that we want to. - I had never worked with Oscar before but when I met him I Did not look further. I was very comfortable with Oscar and his knowledge throughout the process and would happily refer people to him. - Oscar was extremely helpful during our home purchase. He was in constant contact with us, and made sure the process was seamless. I want to thank him for his hard work and will absolutely recommend him to anyone looking for an agent. - I will recommend Oscar and century 21 to anyone looking to purchase a home. I am very great full that we were assigned to Oscar and as a result we were able to find and close on our first home in short time and with no hidden surprises. He really made this the easiest process he could for us and that really meant a lot to us. - Great Job and continued success! - Made the house buying process very smooth and fast Overall, great experience. Excellent! - My husband and I are truly grateful to Oscar Garcia for his services in helping us purchase our new home. After months of looking we finally found what we thought was the perfect house for us. Desirable houses in downtown Wilmington move quickly and if it was not for his tenacity in contacting the seller and acting quickly we may have lost this home to another potential buyer. Oscar is a true professional who was a delight to work with and was diligent throughout the entire process. We have gained a friend in working with Oscar and would not hesitate to recommend him to others who are looking to buy or sell a home. - Oscar made my deal happen. I highly recommend him. I will be calling him first to buy or sell in the future. - I met Oscar Garcia by calling on a listing we wanted to look at. When we arrived he had the doors open and the house ready to show, unlike all others we have dealt with. We did not like the original house so Oscar directed us, per our needs, to the house we just purchased. He knew the area and knew what house we would like to see. Very informative and has been the most helpful during this process. Could not ask for any better. Reviewed by Greg Swords. Wheeling, WV. - This deal had a number of frustrating twists and turns. Oscar stayed right on the job, no matter what came up or what new delay effected the completion of the sale. He was there every step of the way ready to help and advise me. God bless Oscar. He was exactly what I needed. - Oscar Garcia is a great person, very understanding and patient, I would use him again if I ever have a need for his service. - Oscar Garcia contacted us when we submitted a request on a third party website. From the minute he contacted us we felt like his only clients. He was always available to talk when we had questions and always answered them thoroughly. He was always looking for houses and recommending them to us. Once we finally selected the home we wanted to buy, he helped us with selecting the mortgage company. Oscar Garcia always kept us informed and updated about the progress that was occurring on our home. We always felt like we were taken care of with Oscar. We would recommend him to anyone looking to buy, sell, or rent a home. He was absolutely amazing during this process. When things became very frustrating and stressful with the mortgage process Oscar was always there to reassure us that everything would work out, and it did. He was amazing and we cannot say enough how much we appreciated him and how wonderful he is. 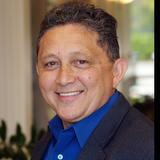 If you have the opportunity to buy a home through Century 21 I would recommend Oscar Garcia. - Quedamos muy satisfechos, con el excelente trabajo que hizo el Sr. Oscar, siempre pendiente de cualquier detalle, cualquier duda, y la manera tan profecional que llevo acabo todo. - Oscar was awesome. This sale was done entirely by phone and using the computer. He did a great job even though we never met face to face. He kept me updated and helped me through the process. I would recommend him in a heartbeat! - Oscar Garcia is someone I would highly recommend to anyone. He was very patient and informative. He made our experience a fun one. I will always be grateful. - Oscar is a very attentive agent. He always keeps me in mind when properties come available and lets me know if something seems like it might interest me. He always answers my inquiries with patience and makes himself available to show properties as quickly as possible. I have used him as my agent many times and would not even consider using anyone else. - We actually only met him because a broker we were trying to schedule with just never was available when we were. Oscar was able to meet us the morning after contacting and was always able to work something out with us to deal with our weird schedules. - Oscar was always willing to listen to my concerns and to take care of anything I asked for. He was great and made my house purchase a very happy experience. Thank you Oscar.